Screen printing can be a tedious task and requires a bit of manual effort. 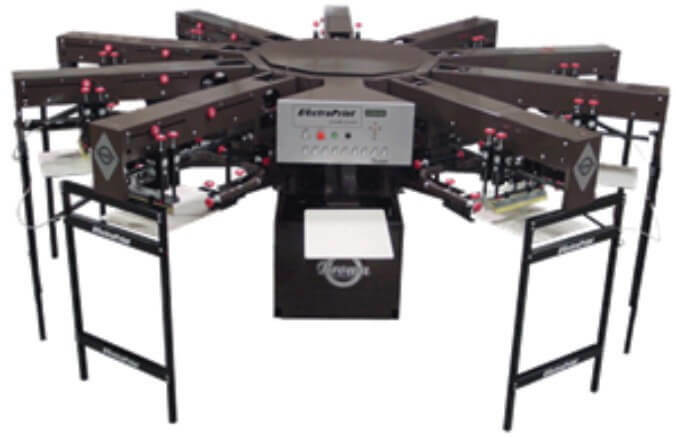 However, if you are a medium to large scale screen printer, you cannot afford to have a manual process under your roof. You need to automate these process and you need a way to print thousands of screen-printed machines at a time. 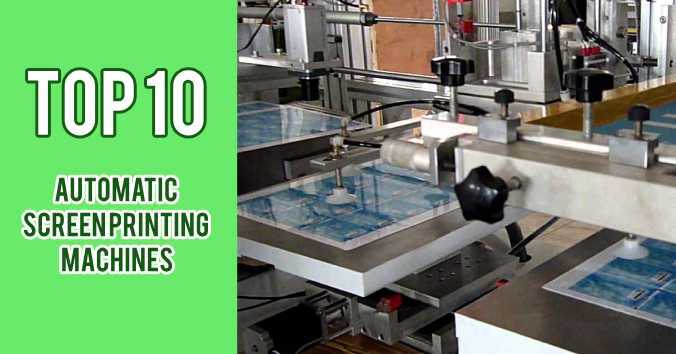 So, here we have come up with a list of top 10 automatic screen printing machines you need to run your print business like a pro. 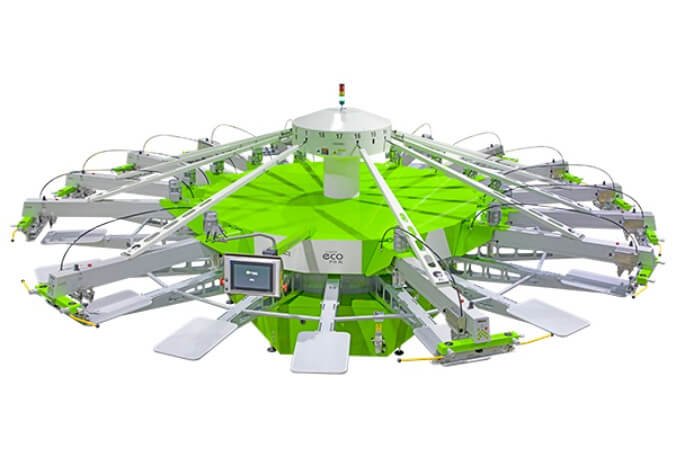 It is a versatile and affordable oval screen printing press available. M&R’s Stryker™ is a 10-station based module and can be expanded to create 16, 22, 28, up to 52 station configurations. There are no restrictions on printhead placement. All other stations can support printheads and any station can be left open. It can be tailored to any production requirement. The S-Type Xtreme comes with advanced features that are much needed in large-scale print shops. Some of the features include M-Touch Pro tablet/pad style main command unit with WiFi connectivity; self-diagnostic operating system; batch counter; print job memory storage; and many more. It comes in 10, 12, 14, 16, 18 number of pallets. 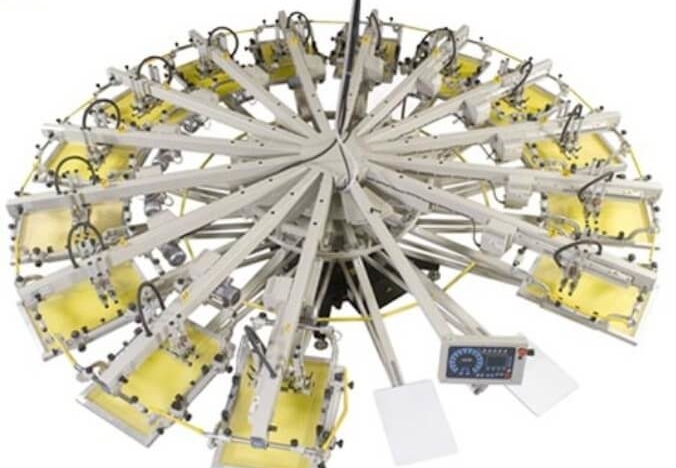 For established screen printers this is the perfect automatic screen printing machine. The ROQprint Eco incorporates ROQ’s latest technological innovations. It ranges from a minimum of 12 pallets to maximum of 20 pallets and from a minimum of 1 colour up to 18 colours. This is suitable for the most demanding of printers as it is efficient and is capable to output a maximum of 1300 pieces per hour. 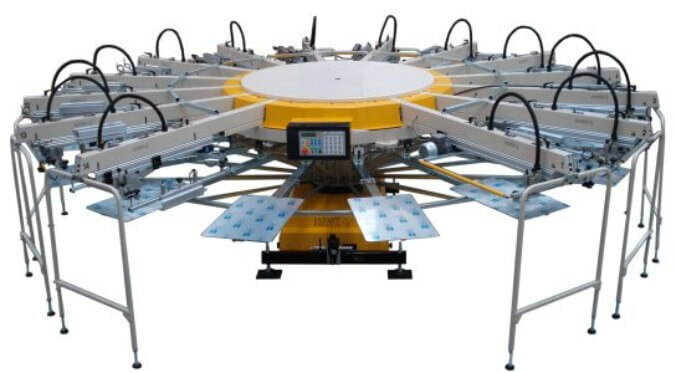 This is particularly efficient in printing with water-based inks and the printer can manage the time that the screen is in contact with the hot pallets. Less time in contact means less evaporation of the inks, which leads to fewer stops during the printing of the job. The Electraprint model makes printing less expensive to operate. They are proven to produce a more consistent result compared to an air driven system. Being completely electric, this eliminates any risk of expensive airline and valve contamination. There is no need of expensive air compressor, air chiller, regulators etc. Simply plugin in the printer and you are good to go. 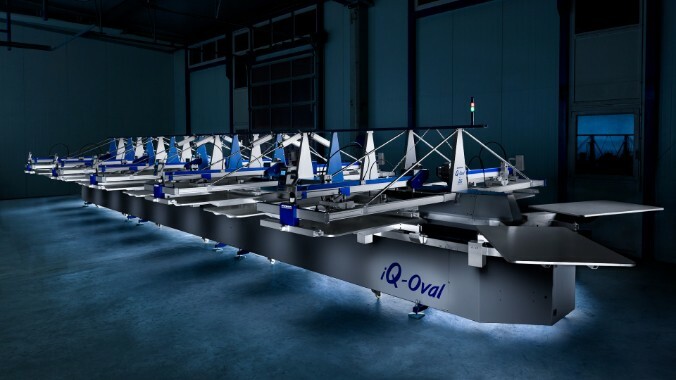 iQ Oval machines are modular and can be configured for almost any production requirement and can be expanded in the future. 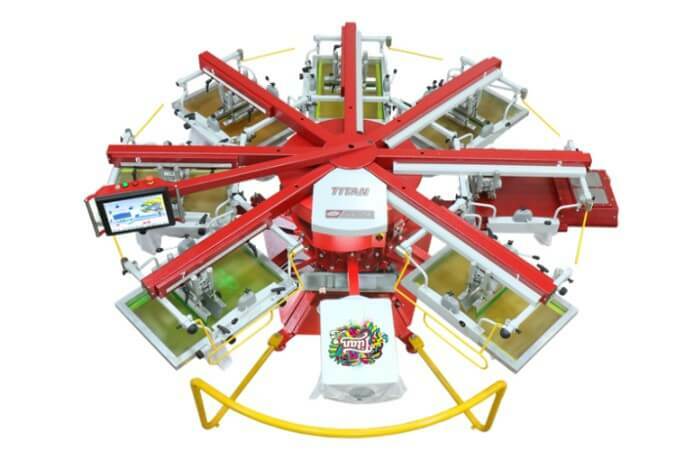 It accommodates with you growing screen printing requirement. When you production requirements grow, simply add additional stations and colours to your current configuration. It can be configured to have a maximum of 60 stations. It comes with the iDS intelligent drive system which offers super smooth and accurate high-speed movement. This is a fully pneumatic press powered by Workhorse OS and has everything you need to tackle the transition from manual to automatic printing. 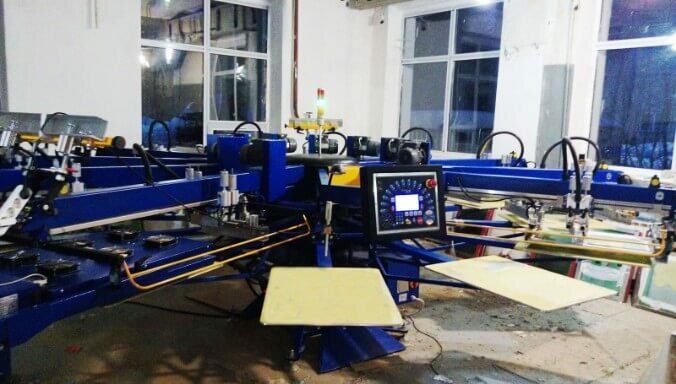 It is the perfect entry-level automatic screen printing press. It features a 6 colour, 8 station system with 15″ x 15″ Print Area. 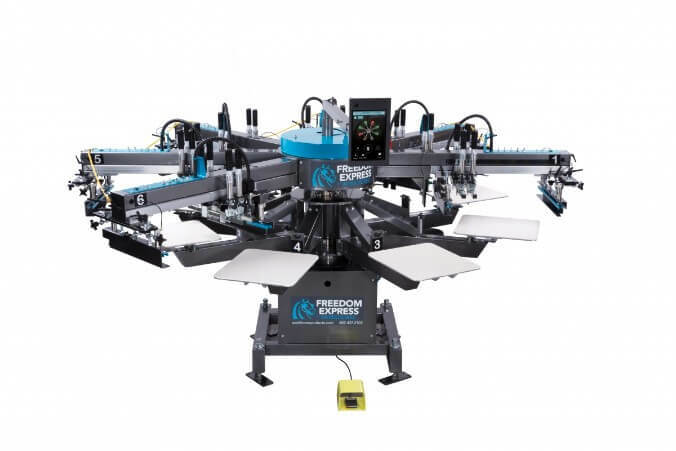 For printers willing to automate their production, the Freedom express series is perfect for them. The RPM Revolution series features 14 colour press. The new Color Electric Revolution is fitted with an Electric Servo Crank for low maintenance and high-speed performance. It comes with electric driven printheads for consistent power and digital control of stroke settings. It features programmable multi-stroke settings per head (5x). Other features include independent squeegee flood bar lift and side screen holders for easy flash insertion and screen removal even with the squeegee and flood bar in position. The HAWK HX20 series is perfect for medium-scale screen printers. It comes with a standard print area up to 50 x 63 cm (20” x 25”). It is the most popular model of TAS. The HAWK series is available in up to 16 colours upon request. 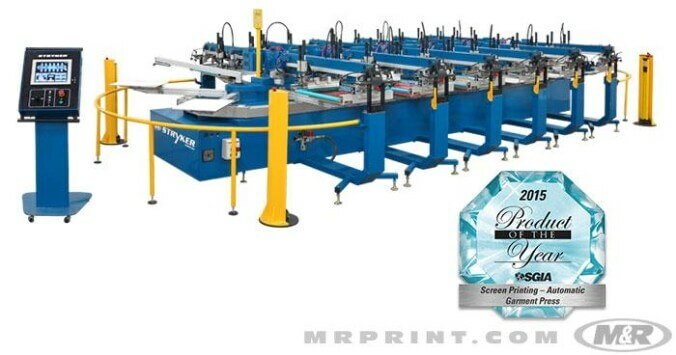 It can accommodate 20 colour, 22 stations, and features electric print heads with max outside frame size of 660mm X 940mm (26” X 37”) and max print area of 508MM X 635mm (20” X 25”). Anatol Titan screen printing machines can last even in the busiest industrial setting running several shifts. It features a heavy-duty rolled steel frame to give smooth cycles and help eliminate vibration. It comes with the most common print area of 16” x 18.” The Titan M model is perfect for the industrial setting. So, if you are planning to expand your production quantity the Anatol Titan M automatic screen printing machine is perfect for you. It is a fully equipped compact machine, with AC drove print heads as well as features servo INDEXER rotation system. There are control keypad systems on every head. The software accompanies the machine hardware setup such as multi print flashing, fully implemented IR Quartz flashes, a half index in both directions, etc.